The BBC website is starting to build anticipation for the second of the three episodes this Sunday (11th May). They’ve used a lovely snapshot of Cantabile with Jo Williamson. It was a real honour and test of nerves to sing in front of the celebrity judges Gareth Malone, Laura Mvula and Suzi Digby – we obviously wanted to impress! David Grant is presenting each episode and he was great during filming. He even managed to get all the audience singing in four part harmony AND sounding surprisingly good! This entry was posted in Cantabile Girls Choir, Competition, Press coverage, Songs of Praise Choir of the Year and tagged David Grant, Garth Malone, Hereford Cathedral Schools Cantabile Girls Choir Songs of Praise, Laura Mvula, Songs of Praise 2014 School Choir of the Year, Suzi Digby on April 29, 2014 by cantabilegirlschoir. 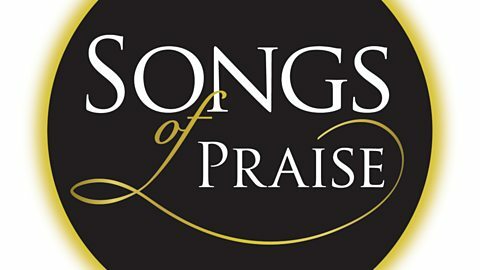 The first results are in – we now know the three Junior School Choirs who’ve made it through to the BBC Songs of Praise final which will be on Sunday 11th May 17:00 – 17:45. Catch-up on BBC iplayer if you missed the first of the three episodes. Watch the Senior choirs next week on Sunday 4th May 17:00 – 17:45 to find out if Cantabile will be one of the three Senior School Choirs joining them! 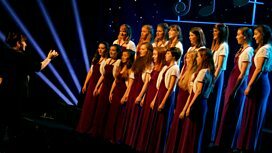 This entry was posted in Cantabile Girls Choir, Competition, Events, Songs of Praise Choir of the Year and tagged Hereford Cathedral Schools Cantabile Girls Choir Songs of Praise, Songs of Praise 2014 School Choir of the Year on April 27, 2014 by cantabilegirlschoir. Wow – it’s almost time to reveal the result of that weekend of singing in March. 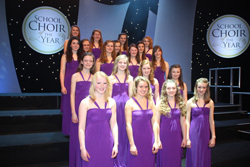 On Sunday (27/4/14) the BBC will be showing the first of three episodes for the Songs of Praise School Choir of the Year 2014 which features the junior school choirs. What is wonderful is the quality of choral singing which the children have achieved through sheer hard work and singing purely for the joy of it. We hope you can support all the choirs by tuning in to all three episodes.